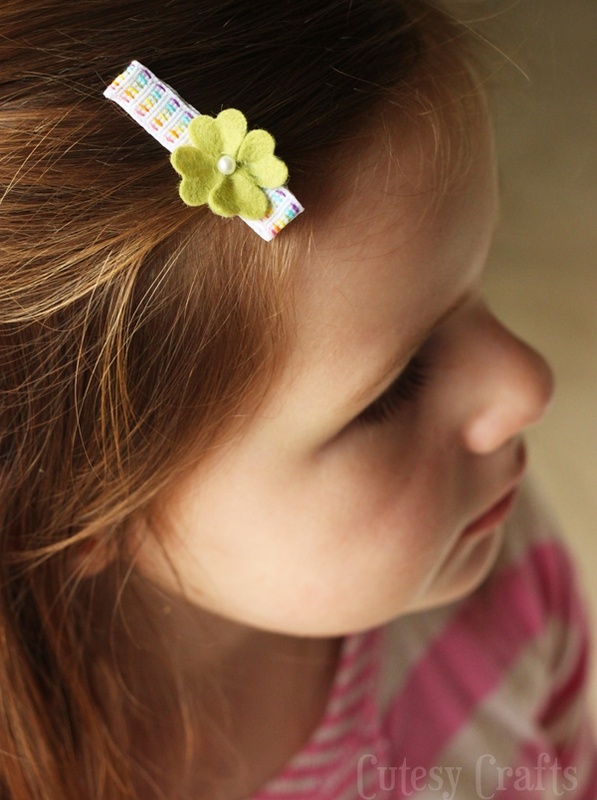 What’s a holiday without some cute hair clippies for the girls? My favorite thing about these? I started with white ribbon. Yep, that’s right! I embroidered the rainbow stitches onto it! I was hoping to just find some rainbow ribbon to buy, but I’m kinda glad I couldn’t find any. This turned out a lot cuter. Plus, I got to embroider something…. you know how much I love that! 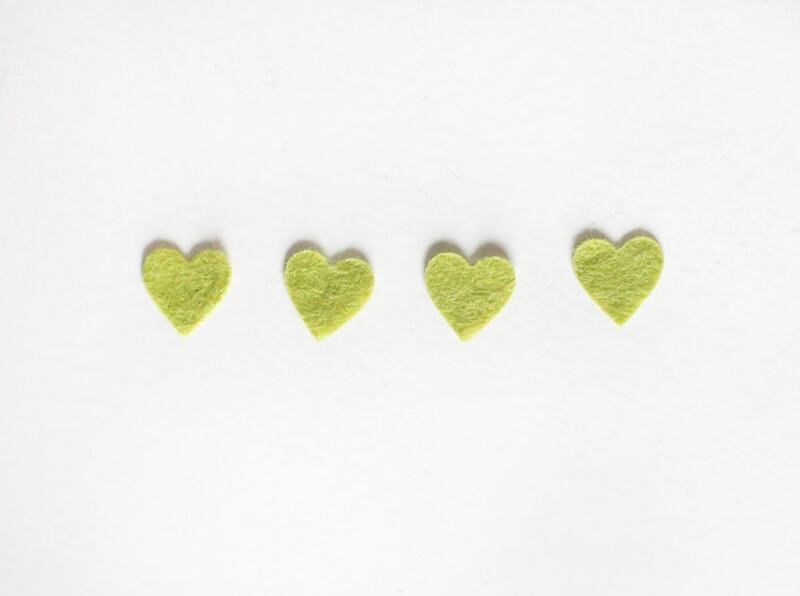 Using wool or a wool blend of felt will give you the best results. A thin piece of cardboard in the stack also helps get a clean cut. 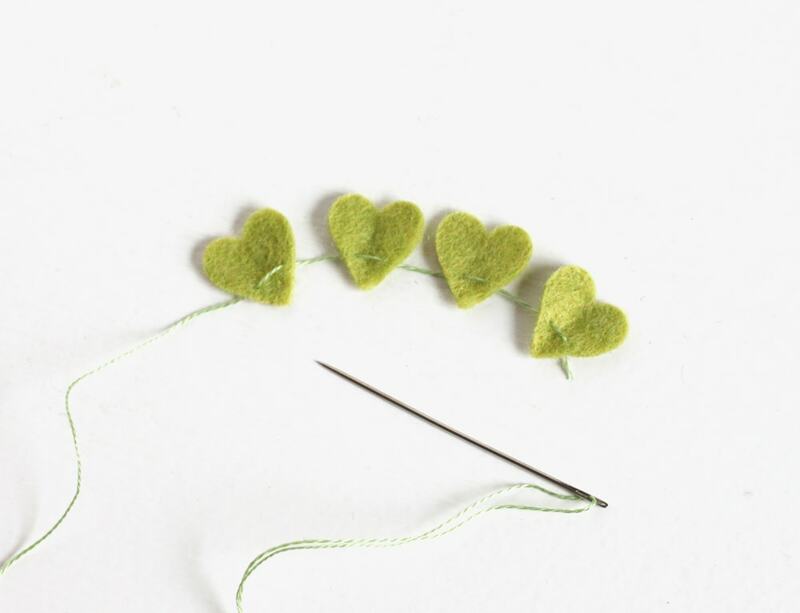 Stitch through the bottom of each of the hearts like so. Bring your thread around and go back through the hole you started in. 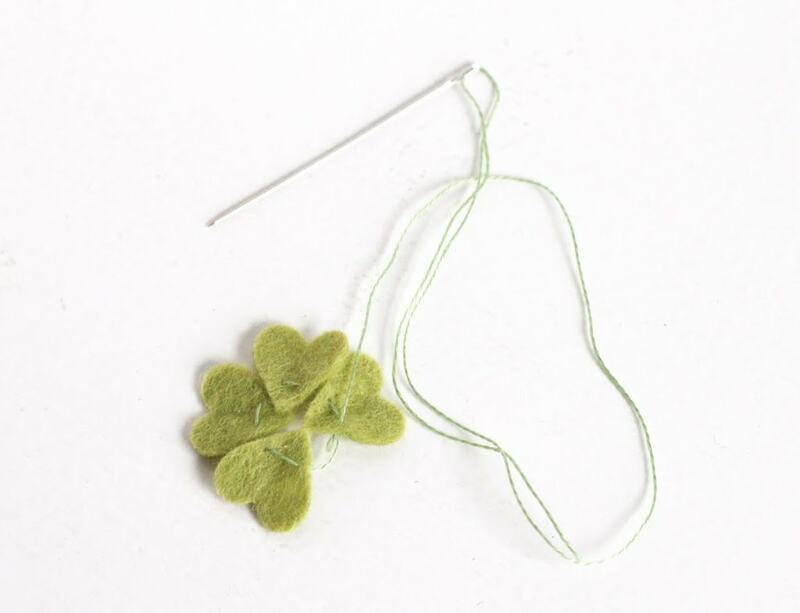 Pull it a little tight, and you should get a nice clover shape. 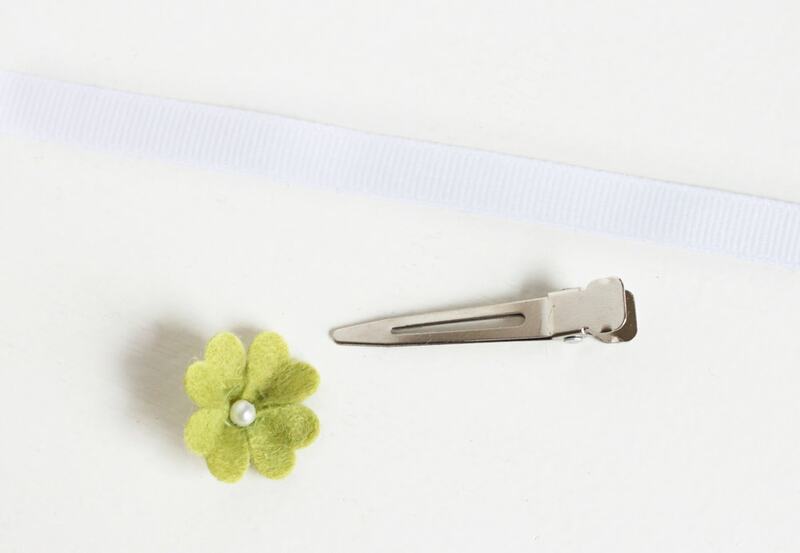 String a little pearl bead onto your thread and sew it down in the center. You’ll also need some ribbed white ribbon and a blank hair clip. 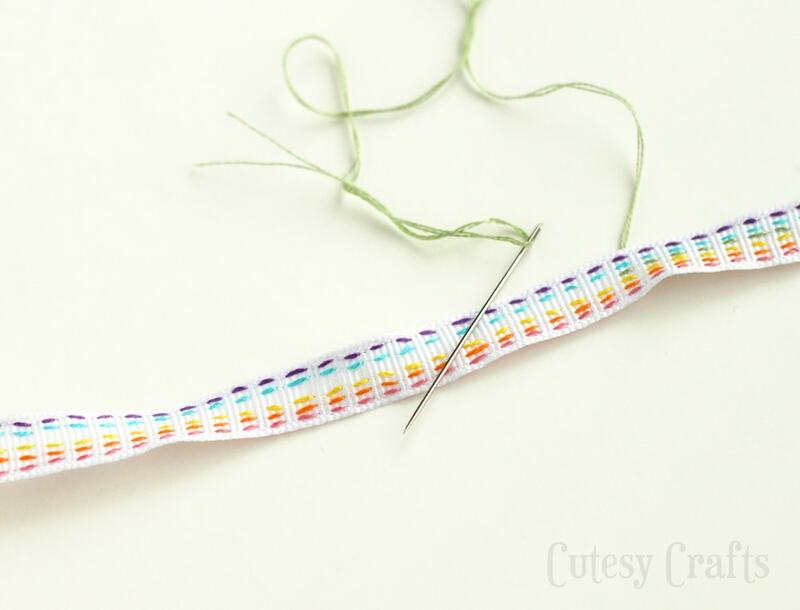 I say ribbed ribbon because it makes it easier to measure out your rainbow stitches. 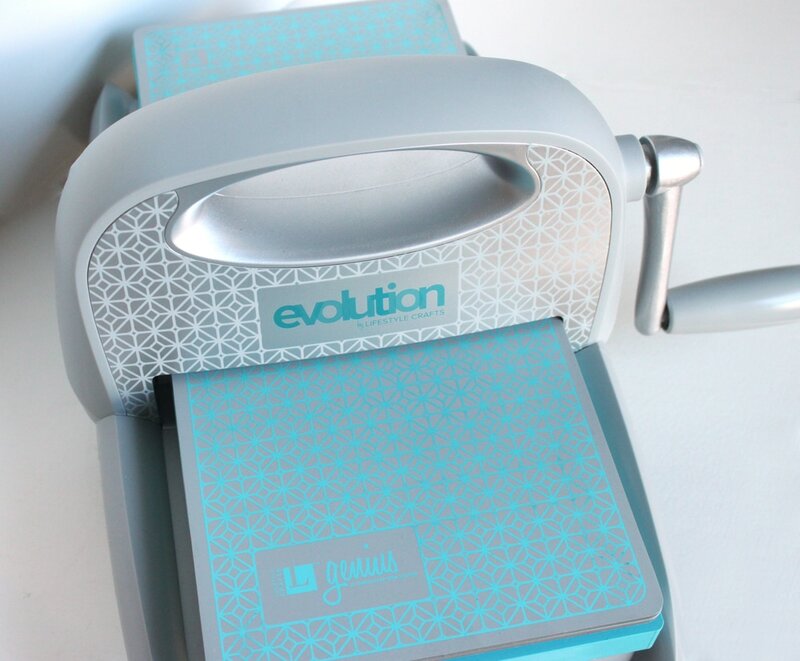 Make sure to fuse the ends of the ribbon with a lighter so it doesn’t fray. My favorite part!!! I used two strands of embroidery floss and stitched a running stitch in each color. I started with the two outside colors (pink and purple) and worked my way in. That made it easier to space everything. The stitching will make the ribbon a little less flow-y (hard to explain), but you’re gluing it, so it doesn’t matter. Could I have stitched just the part that was going to show on top of the ribbon? Yes, probably… But I just really love hand-stitching (plus I was too lazy to figure out where the top of the ribbon would be once it was all glued). 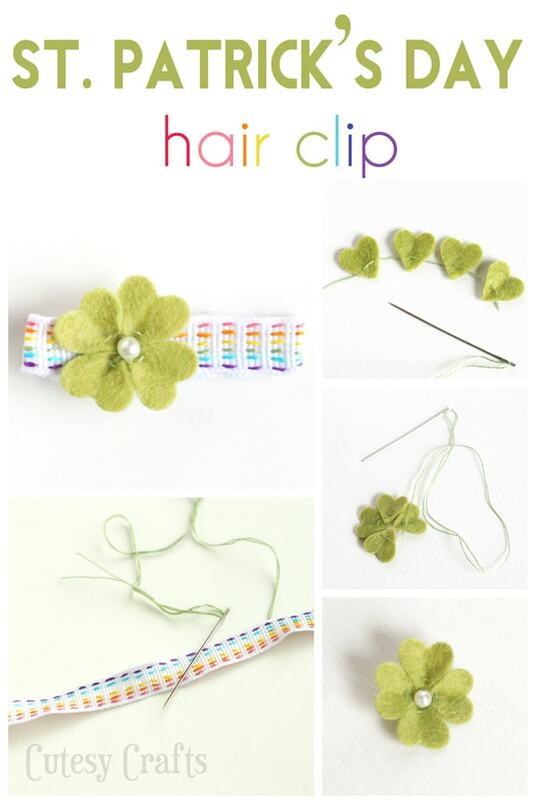 Now, get your hot glue gun out and wrap/glue the ribbon around the clip. 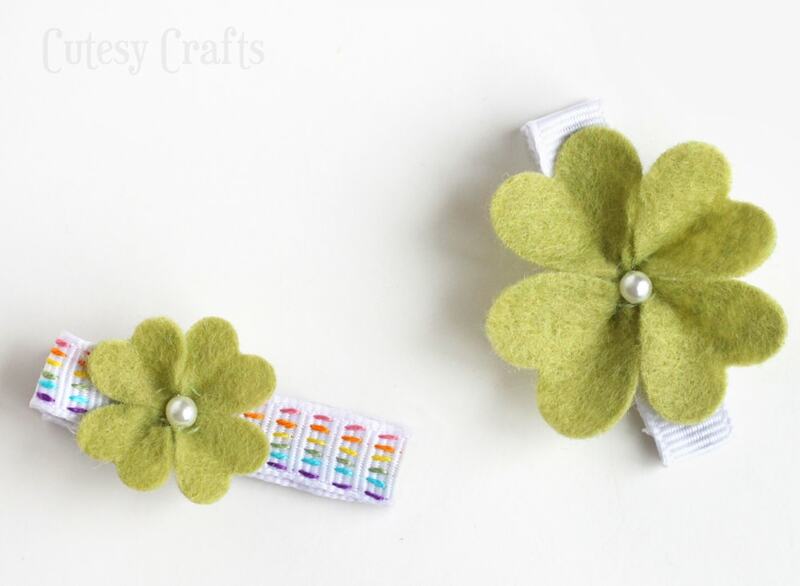 Then glue your clover to the top and you’re done! I made another one with a larger heart on the same heart die. So cute! And since I’m a part of the Lifestyle Studios Team, you can get 20% off any purchase you make from We R Memory Keepers at shopwer.com by using code CUTESY at checkout! They’ve got tons of great crafting and scrapbooking supplies. Go have a look!